It’s science fair day. You’ve been helping your students be as prepared as possible for their judges. You know that after a judge politely listens to your student’s 3-5 minute presentation, he or she will begin to ask a number of questions. Whether your students will have three judges (at the MA state middle school fair) or five (at the MA state high school fair), you can be guaranteed of one thing: no two judges will ask the same set of questions. Most students know that they are supposed to do their project on their own, and this is not a trick question! You can help your student to provide truthful answers that show he/she is confident in sharing credit. Examples of these types of questions are: Did the student get suggestions or advice from a teacher, a parent, friends, a scientist or other expert? Who supplied the equipment used for the project? Who cut the wood or handled special power tools? Who took photos? Even with a simple project, your student should be able to think of what else to do next, such as using a different variable, or different materials. 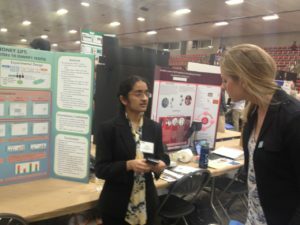 Students may not realize that they are doing “real science,” and their project might have a use/purpose or significance outside of the science fair experience. Even if it’s a project that has been done before, you can help your students to think about their results. How might this experiment be used for a different purpose than originally intended? Does this testing validate a previous experiment? What computer software was used to create the graphs? How many days did it take to do the experiment [or to build a particular part of the project]? What were the most interesting things learned from your background research? Explain how a specific piece of equipment works that was used in the experiment. Was all the data collected under the same conditions (same temperature, time of day, etc.)? What problems were experienced with the project? If so, how did the student correct for them? What is the most important thing the student learned by doing this project? 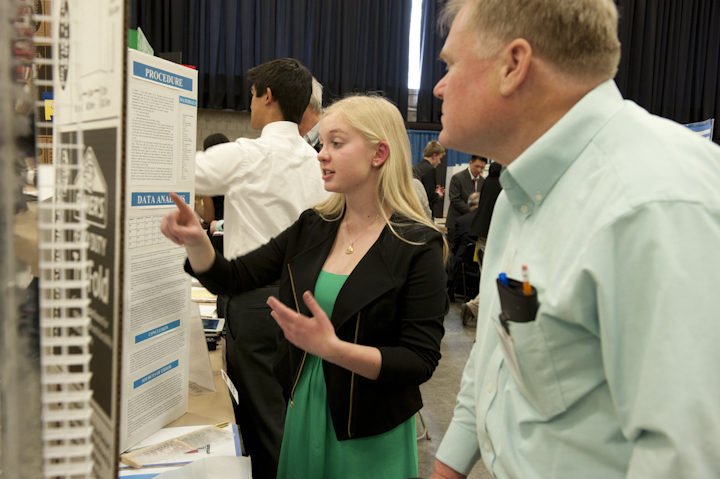 Judges are encouraged by MSSEF to ask pointed questions, starting with the easiest ones and making each subsequent question more challenging for the student. Judges see themselves as mentors as well as evaluators: they are not trying to stump your students, but to test the breadth of their knowledge. You can advise your students to stay calm no matter how difficult the question. The best advice about how to answer a challenging question is for the student to respond to the best of their ability. If they don’t know an answer, they can be honest and acknowledge this – and then, offer to take an educated guess based on what they learned in the research or experimentation. Remember the essentials of good communications. Make eye contact, speak up & speak clearly, stick to your key message points, and don’t speak too fast. Judges won’t provide high scores to a student who has only rehearsed a speech, but then can’t answer interesting questions about the project. The more your student engages a judge in a real discourse, the better a chance for a good score. Be excited about the project. There’s almost nothing worse than for a judge to think that the student only did the project because he/she had to do it for school, and is uninterested or bored with it. 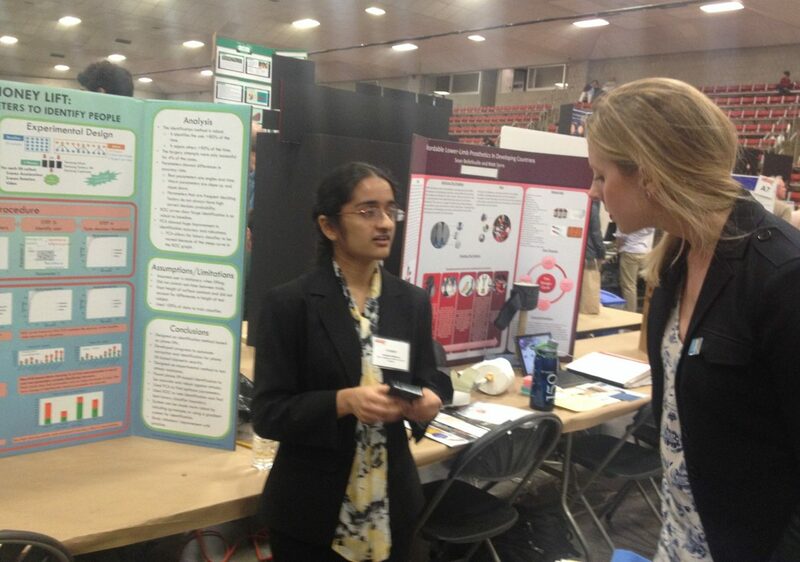 While winning an award is fantastic, making it to the statewide science fair is already a big achievement! Encourage your students to enjoy the experience, especially the chance to have a conversation with a “real world” scientist or engineer!